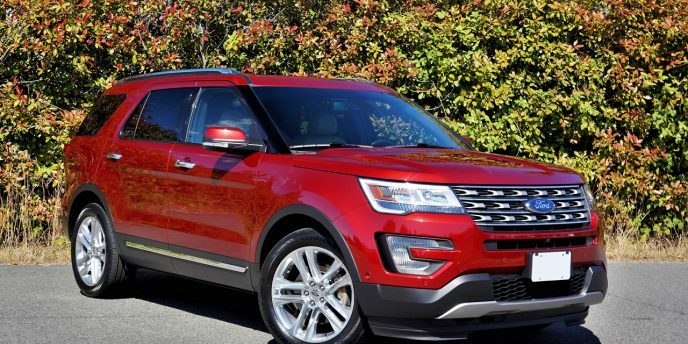 Ford gave its 2016 Explorer a mid-cycle update and it's continued into 2017 more or less unchanged, its rounded edges sharper and less Range Rover like, albeit still paying unabashed homage to the luxury SUV brand's iconic styling as if it were an Invicta Pro Diver 8926 trying to pass itself off as a Rolex Sub. 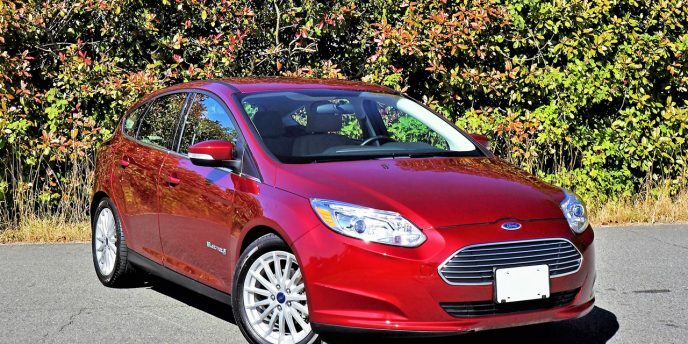 Scoff at Ford's designers all you want, their plan is working. 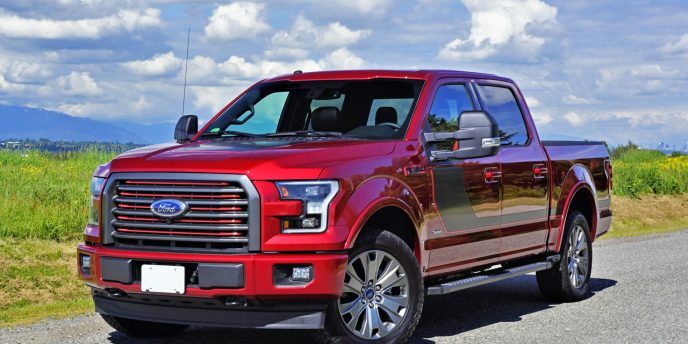 Last year the Explorer was the number one selling mid-size SUV in North America, while so far this year it's edged past Kia's Sorento to become the bestselling seven-passenger SUV in Canada. It's about to set another modern-day sales record in the U.S. as well, the large mid-size model's success seeming to know no bounds. 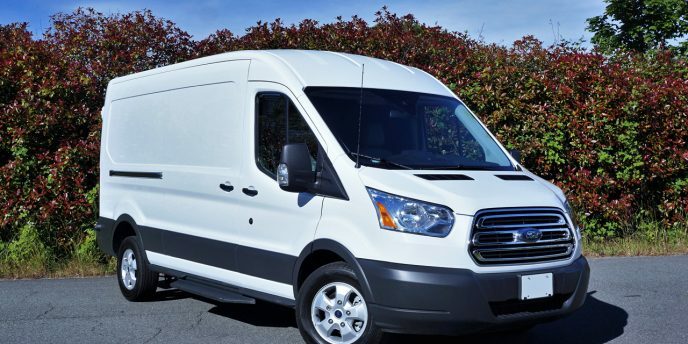 If your business needs a new cargo van, Ford's full-size Transit is a good place to start your search. The Transit 350 Diesel Van available for my weeklong test made the just noted term "full-size" seem understated, as it was a bit too big for my garage. I left it sitting on the long patch of gravel in front of my office when not in use, although it's sheer mass had me worried it would cave the side of an adjacent ditch in, and we'd walk out to find it lying on its side. Fortunately, my concerns weren't warranted. It really wasn't parked for much of its short tenure anyway. As you can likely imagine, I had a number of mobile activities that required such a large, dry space, foreknowledge of such a useful appliance causing a preplanned agenda that could never be fulfilled in just seven days. You'd think for a car available non-stop since 1965 there'd be more than six generations to the legendary Mustang's credit, but Ford ran the first generation (the many iterations of which any genuine car enthusiast equally loves and lusts after) for eight years and made even better use of the 1979–1993 third-gen Fox bodied model. I don't think you'd get much argument from all but drag racing fans that the current rear independent suspension-enhanced sixth-gen model, available since 2015, is the best Mustang ever. 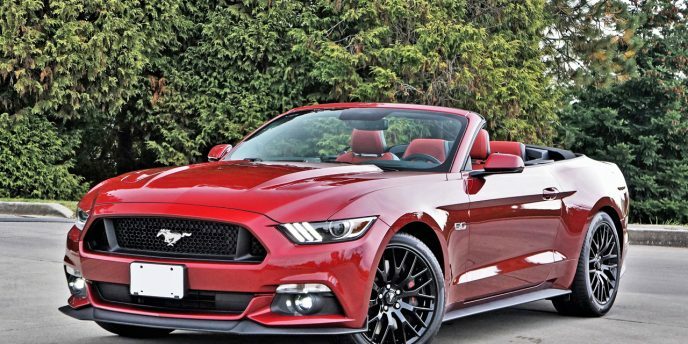 It takes little coaxing for me to accept a week in any of its trims, the first of this type being a 2015 Mustang GT Premium Convertible, which was followed by the new 2.3-litre turbo four-cylinder 2016 Ecoboost Fastback and a 2016 GT Convertible, the latter much like our most recent tester other than its eye-searing Triple Yellow paintjob. F-150 buyers love their special editions, and I must admit the new 2017 Lariat Special Edition upgrade added to my SuperCrew 3.5 Ecoboost 4x4 tester is something I could definitely fall for as well. This thing looks fabulous! I can't tell you how many rubbernecking stares I got while driving around town, and my neighbourhood is one of the rarer places to find pickup trucks, at least when it comes to those that live here. There are plenty of plain white work trucks with side signage scattered across the myriad building sites throughout my ever-burgeoning inner-city-like suburb, while the streets are literally littered with the bourgeois supercars of the nouveau ultra riche, from Ferrari, Lamborghini, Maserati, McLaren, and the like. Strangely, cars like that are commonplace, but a truck like this totally stands out.